Climate Feedback has received accreditation by the International Fact-Checking Network (IFCN) at The Poynter Institute. Climate Feedback is the first and only accredited organization pioneering a community approach to “fact-checking”: crowdsourcing the evaluation of information credibility from a network of scientists with relevant expertise. The IFCN is “committed to promoting excellence in fact-checking”. Its new vetting process followed the announcement by Facebook that the platform will work with third-party fact checking organizations that are verified signatories of Poynter’s International Fact Checking Code of Principles to flag false news directly in users’ feeds. The International Fact-Checking Network vetting process calls for an external panel to evaluate whether the organization is compliant with the five principles of the fact-checkers’ code, which include a commitment to nonpartisanship as well as to transparency of sources, funding and methodology. 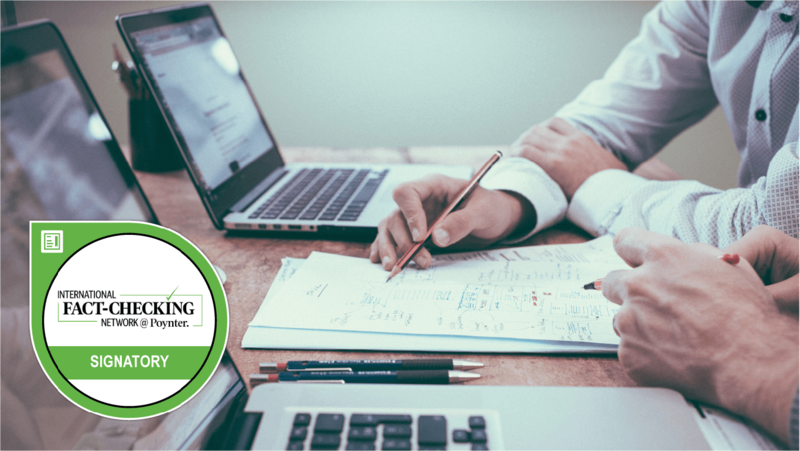 We are honored that Climate Feedback has been recognized for its professionalism and high quality methodology. We are committed to upholding the highest standards in information credibility verification, which goes beyond checking the facts. We will continue to explore ways to assess the credibility of information at scale and empower scientists to share their specialized expertise to better inform their fellow citizens. Our media analyses are crowdsourced from an open network of active scientists who have demonstrated expertise in the subject matter.